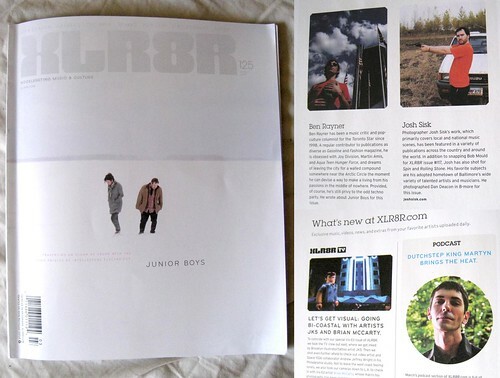 July Tearsheets + Low Budget Photo Show. 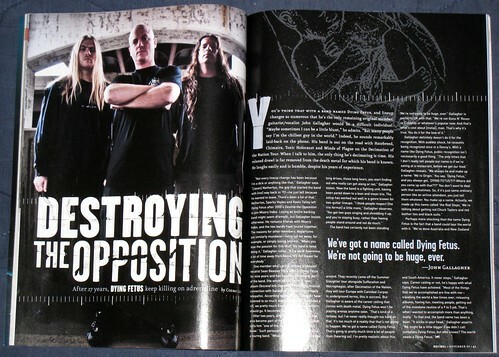 Dying Fetus in Decibel Magazine. 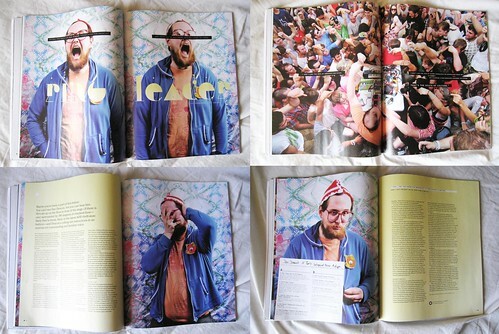 Dan Deacon photo in German magazine Intro. 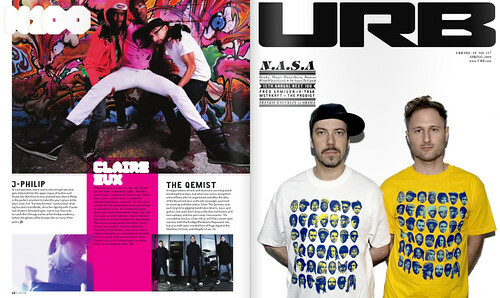 Claire Huxtable in URB magazine. 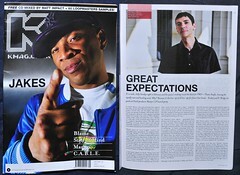 Both on newstands now. 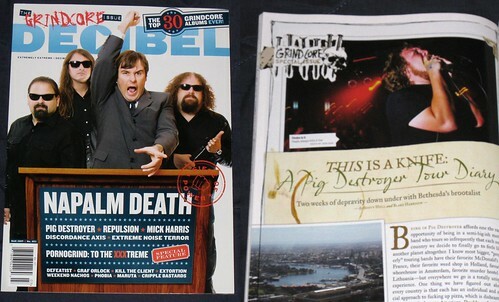 Agoraphobic Nosebleed in Decibel, Martyn in KMag and DJ Broadcast magazines. 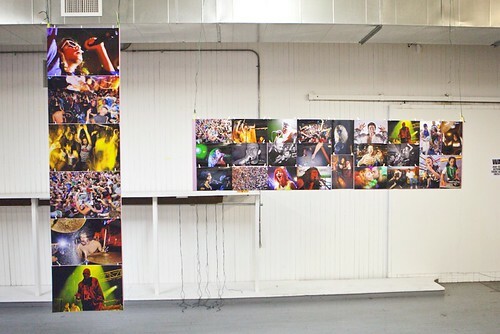 Also, check out Earplug’s SXSW write-up featuring my photos, and a small shot of the Death Set in XLR8R. 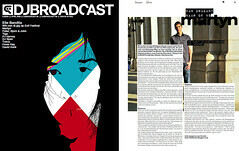 Look for the new issue of CMJ, coming out next month. 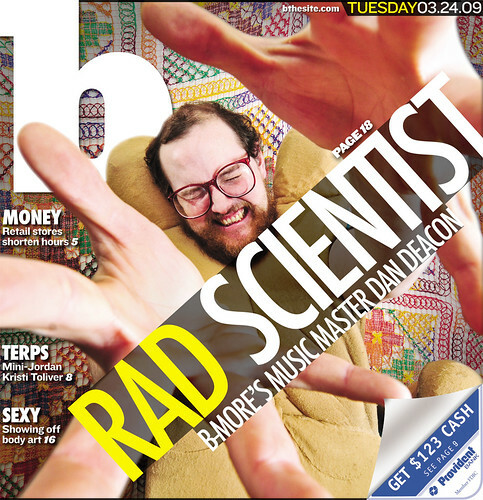 I have the cover and two shots of Dan on the inside. ALSO! Listen to Dan’s new album Bromst on NPR’s site. The whole album! It’s not even out yet. 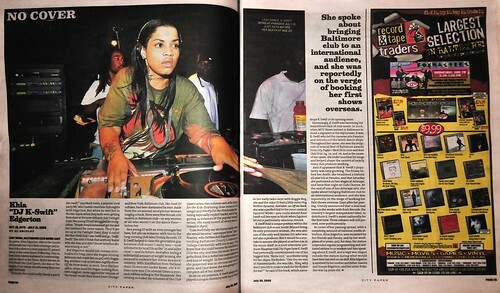 Afterhours, a Japanese magazine, ran a few of my photos from Whartscape. 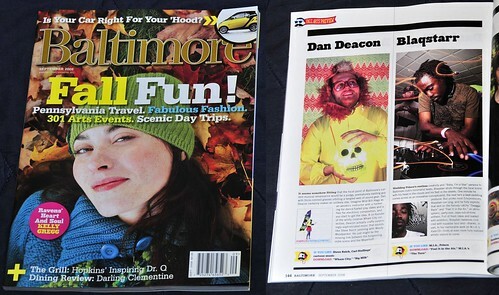 photo of Blaqstarr in the sept. Baltimore Magazine. 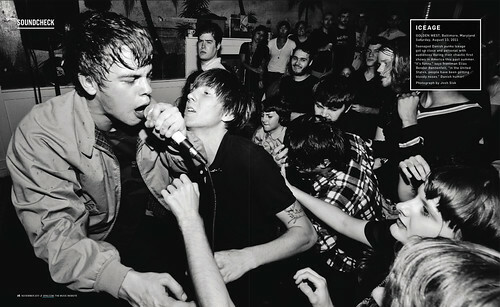 my photo of K-Swift in the Baltimore Citypaper. Another photo of mine is on some RIP K-Swift shirt apparently? If you see one for sale, buy it for me and I will pay you back. Size medium.